The Digital Data Architect role in the Marketing Technology (MarTech) COE is responsible for leading and guiding the digital data architecture, design and implementation capabilities in AbbVie’s US commercial Digital ecosystem. This role will be instrumental to tie all the data across all digital channels. 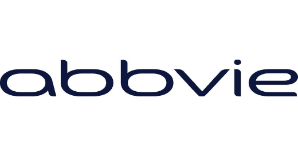 The role will be responsible to develop and manage the overall end to end digital data application ecosystem and footprint to support AbbVie’s US commercial initiatives. S/he will be responsible to be the subject matter expert for all digital data projects and activities of AbbVie’s US Commercial instance of the Adobe Experience Cloud platform and related applications such as Adobe Experience Manager, Adobe Audience Manager, Adobe Analytics, Adobe Target etc. The individual will work closely with business and technology leads including managers, analysts, architects, developers, project managers, user experience leads as well as external agencies and partners. The individual will operate as the digital data architect and subject matter expert and will be the point person for all technical and functional capabilities. S/he will report directly to the Associate Director, Marketing Technology COE. Digital data Architect will be responsible for architecting, designing and developing solutions related to data integrations and optimizations for US commercial digital and marketing technology ecosystem. Experience in architecting data solutions involving Web, Mobile, Social, Cloud applications across digital platforms such as Adobe Experience Cloud solutions, Salesforce marketing cloud including AAM, AEM, Adobe Analytics, Adobe Target, Adobe Launch, DTM, SFDC etc. Must be comfortable with technologies used in a digital ecosystem such as Web-based systems architecture, service-based architecture including microservices, enterprise application architecture, Current agile methodologies, specifically Scrum, Web technologies such as HTML5, CSS3, Bootstrap framework, AngularJS, Nodejs, jQuery, Data architecture, data modeling and data management across relational, columnar and NoSQL technologies like SQL Server, MongoDB, Big data technologies like Hadoop ,Hortonworks, Cloudera, Cloud based HDInsight, Service creation and orchestration using ESBs like MuleSoft, Apigee, Advanced analytics development experience with R, Python, architecting solutions across on premise and cloud, Cloud based data and analytics native PaaS components in Azure, Google Cloud, AWS etc. Experience in integrating offline and online data across digital platforms. Experience in managing the digital data strategies across channels and various segment personas across those channels. Familiar with identity graph and how it can be used for customer journey analysis. Work closely with Enterprise Architects, Digital Platform leads/architects, Product Solutions architects to design effective digital data technology applications and architectures. Lead/participate in data architecture reviews and assessments specific to the technology platforms. Develop and drive the digital data architecture roadmap. Ability to communicate effectively with both technical and business teams. Strong organizational capabilities with ability to manage multiple priorities. Establish standards and guidelines for effective use of the AEM solutions, their integration within the Adobe platform, and integration with other core AbbVie systems. Strong experience in a data related digital marketing technology role involved with leading, developing and architecting digital experience applications including websites, content management capabilities, web and mobile capabilities. Strong experience and understanding the digital data ecosystem, and data traversal across digital touchpoints and channels. Proven experience in projects involved with digital data architecture, design and integration activities. Excellent communication and interpersonal skills, with ability to building trust, listen, and ask effective questions with the goal to create a scalable and reusable business solution. Innovative thinking and the ability to leverage past technology experience to be successful in an entrepreneurial fast paced environment. Strong data analysis, IT and analytical skills.